Did you know that Greece has 6,000 islands in total? It’s true and yet it’s still pretty astounding to think that a nation can have that many islands associated with it. Can you imagine how difficult it is trying to pinpoint the very best places to visit in Greece from such a plethora of breathtaking options to choose from? Ok, to make life a little easier, the Greeks have only inhabited 227 of these…ONLY 227! It’s still going to be difficult to put together a post highlighting the “best of the best” but we are going to best. 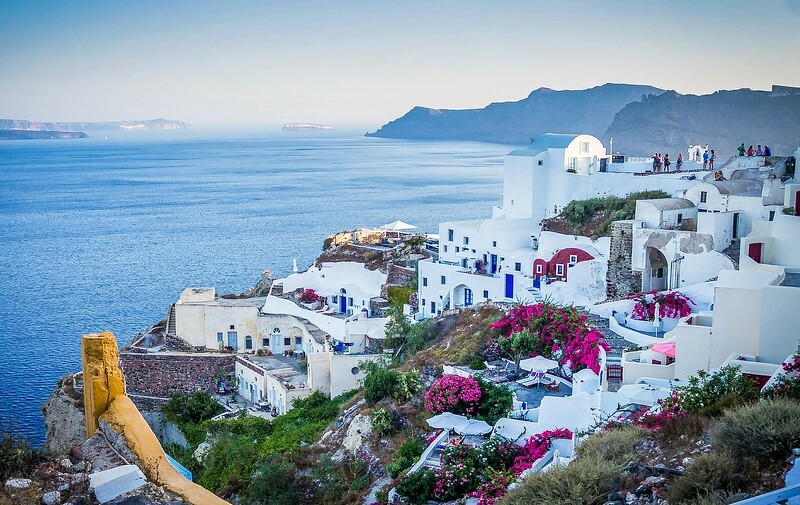 Thanks to our amazing friends in the travel blogging world, we are going to recommend a selection of the very best places that you cannot afford to miss when considering a trip to the Aegean region of Europe. How many Greek islands/locations can you name? Crete, Corfu, Mykonos, Santorini…are you struggling yet? It’s ok…not only is there A LOT of Greek islands and destinations, they are not the easiest to say or spell. 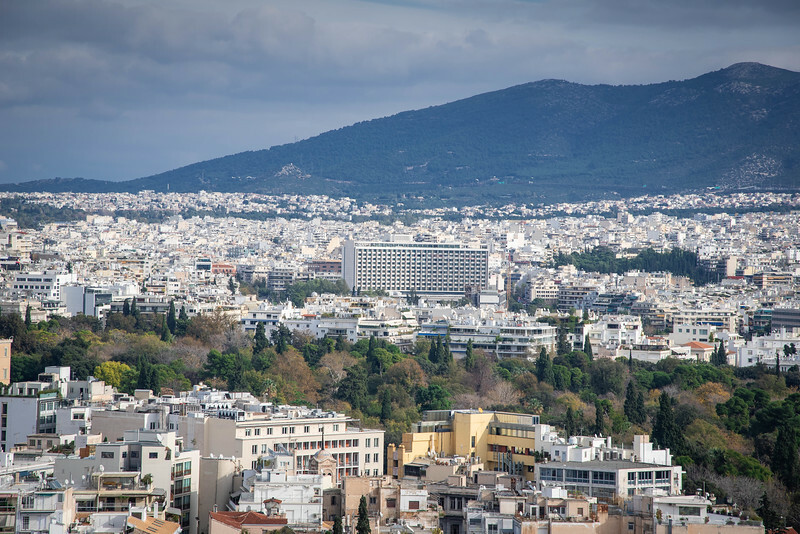 And that’s before you even start thinking about all those iconic Greek mythological creatures and figures that once ruled the world – did we even mention one of the world’s most historic cities yet – Athens? But we are not going to delve too much into Greek literature during this post, rather we want to inspire your Greek wanderlust and share some of the best spots worth visiting at any time of the year. Whether you are thinking about exploring the slopes of the Acropolis or perhaps experiencing one of the many watersport activities courtesy of Mark Warner before relaxing on the pristine Greek beaches, Greece is a place you cannot help but fall in love…at ANY time of the year! That’s right, the beauty of Greece is that you can visit all year round and have an amazing adventure. The beauty of creating such a list of the best places to experience in Greece is that there are so many spots that could easily find their way on to the shortlist. Thanks to our awesome and incredibly knowledgeable explorers from across the globe, also known as our travel blogging friends, we have put together a collection of places that perfectly outline why Greece should be on everyone’s radar in the near future. From the iconic destinations to hidden gems, this list has it all! Here are the places, in no particular order, that have found their way on to the list. 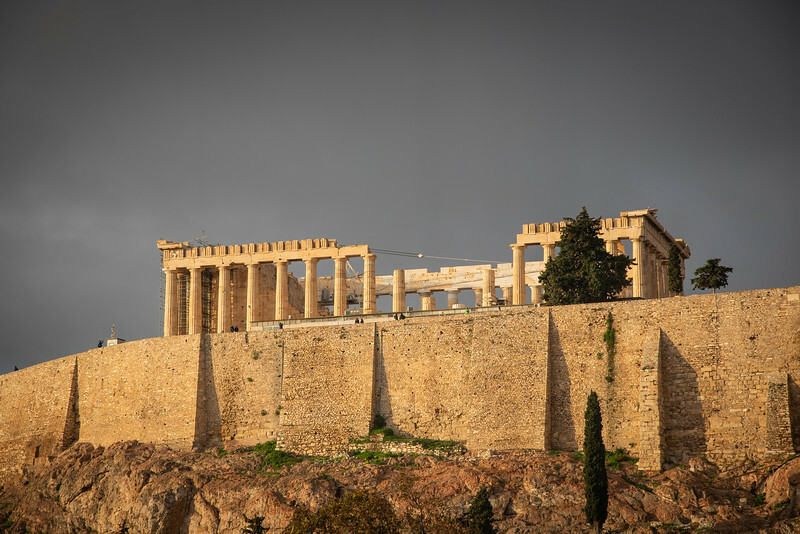 When you think about historic cities around the world, Athens is arguably at the very top of most peoples lists. 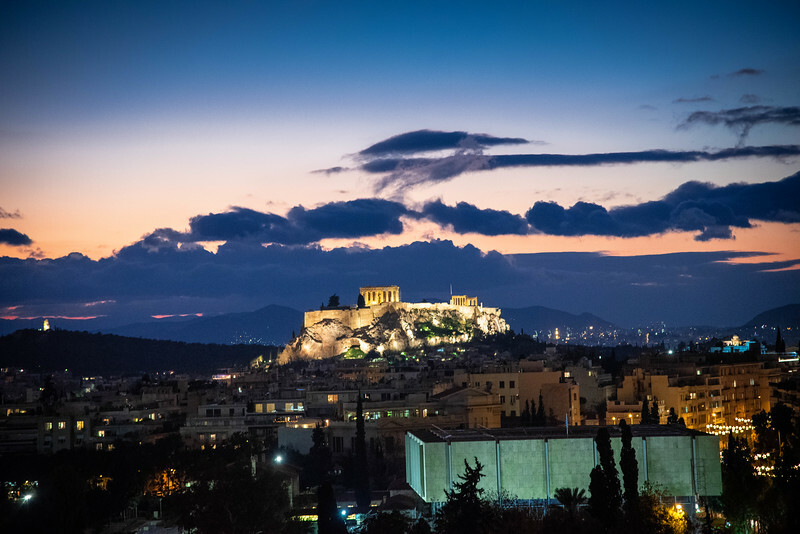 The capital of Greece and a city rich full of history, gorgeous archeological ruins and of course, blended in with a modern feel that makes this such a popular destination among visitors from across the globe. For those of you planning a visit to Greece for the first time, Athens is likely going to be at the very top of your preferred destinations…and obviously, for very good reason. 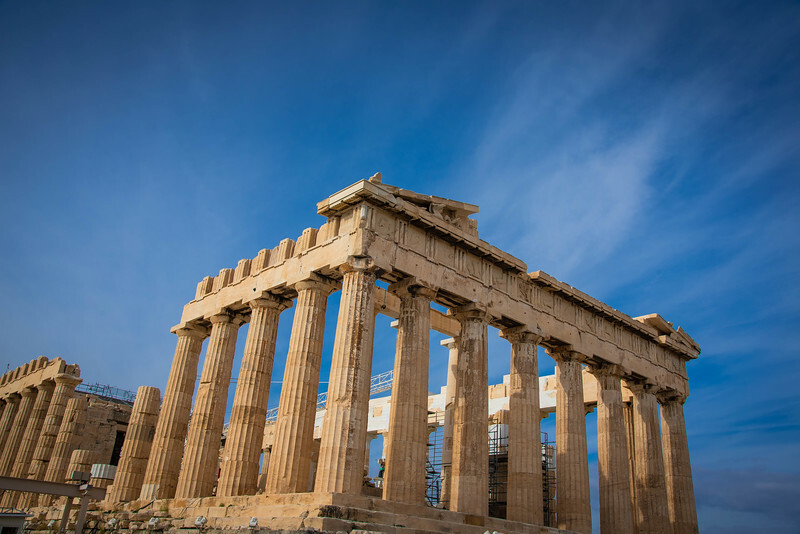 From the iconic Parthenon at the summit of the slopes of the Acropolis to the Temple of Olympian Zeus, visitors could easily spend several days in Athens just experiencing the most infamous landmarks. The Ancient Agora of Athens features the ruins of an ancient Greek gathering place while those interested in learning more about the evolution of the Acropolis should head to the ultramodern Acropolis Museum, perfectly situated in close proximity to the entrance to the historic landmark. 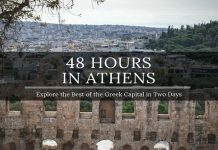 Athens is a city that even if you have very little interest in Greek history will immediately capture your imagination and attention. You cannot help but think about what life was like thousands of years ago and yet today, all of these amazing landmarks have been preserved and continue to live on. 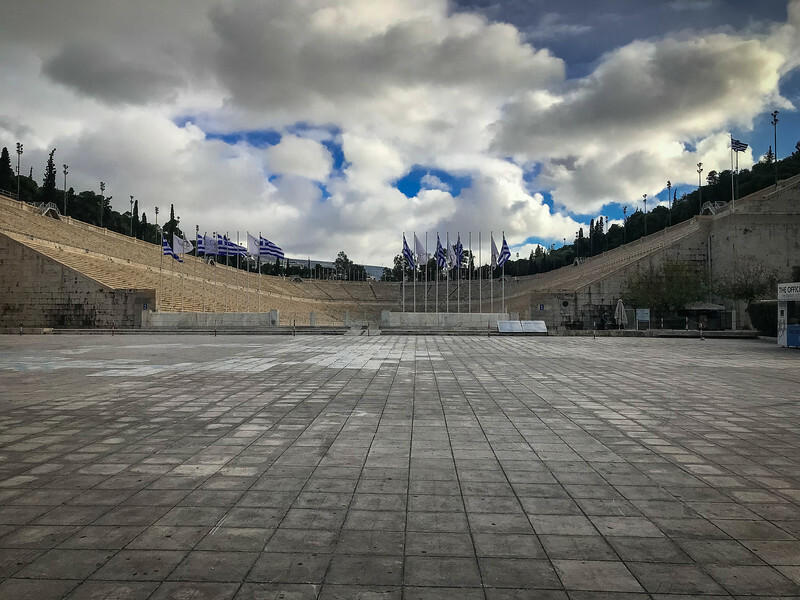 For the Olympic fans out there, head over to Panathenaic Stadium to admire what hosted the first “official” Olympic Games in 1896. This stadium is an architectural masterpiece as its made entirely of marble. It is well worth visiting and contrasting with modern day stadia across the world. Corinth is an ideal destination for an easy day trip from Athens. It only takes around an hour to reach Corinth by car but there is plenty to see and do thanks to Corinth’s long history and natural beauty. The most famous sight in Corinth is the Corinth Canal, a deep man-made strait separating the Peloponnese peninsula from the mainland. Its construction began in 1881 but the first attempts to create this nautical shortcut between the Saronic and Corinthian Gulf reach as far as the antiquity. Passing the canal towards Peloponnese you’ll soon reach the archaeological site of Ancient Corinth. At its prime, Corinth was one of the most important city-states in Greece and the excavations site together with a small museum offer an outlook into the organization and a way of life in the ancient city. 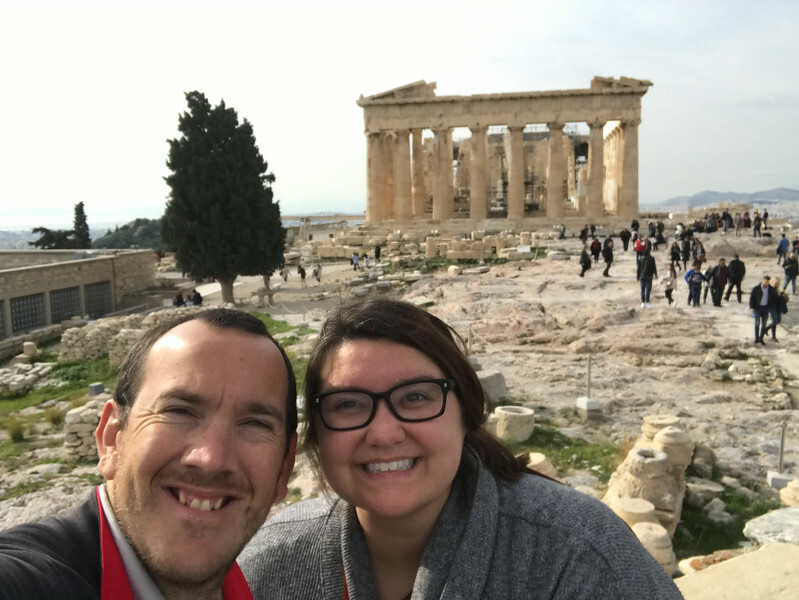 But the best part of the trip is a visit of Acrocorinth, the acropolis of Corinth, sitting on an imposing monolithic rock above the ancient city. Once a temple devoted to Aphrodite, the goddess of love and beauty, it was rebuilt into an impressive fortress during the medieval times. 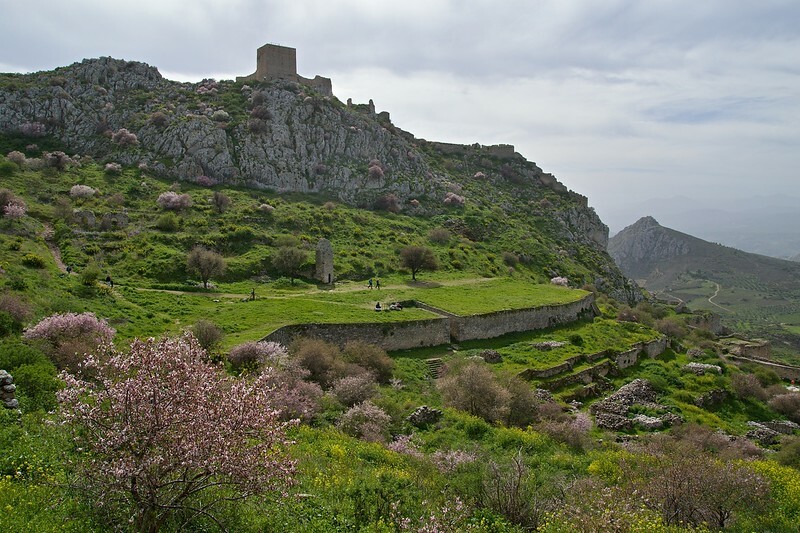 And the views from the top across Isthmus and the mountains of Peloponnese are as striking as the fortress itself. Thanks to Helena from Just For One Summer for contributing Corinth to this collaboration. Looking for your next destination in Greece? 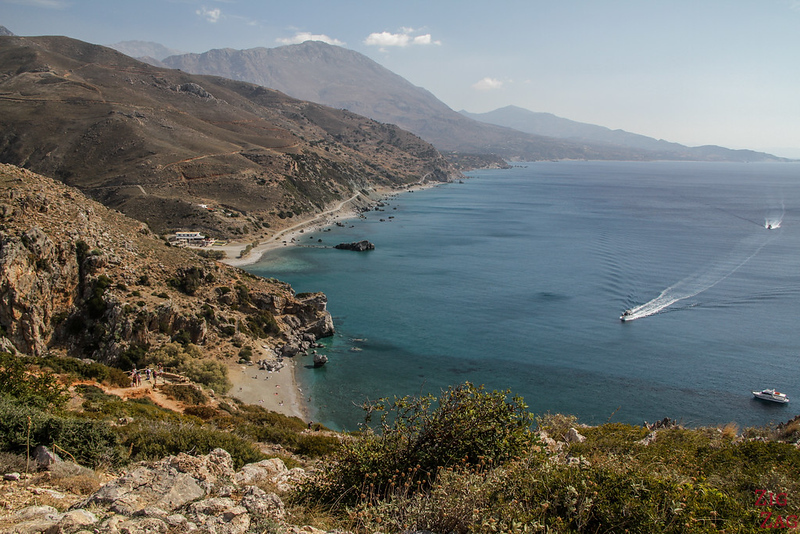 The island of Crete definitively has it all: stunning beaches, ancient archaeological sites, magnificent gorges, mountains dropping into the sea, white villages, Venetian architecture… Should I go on? However the island is quite large. Therefore it deserves its own vacation there. The North coast is developed with resort towns and all the main cities, while the South is wilder with canyons and smaller villages. I think the best way to explore is on a road trip. 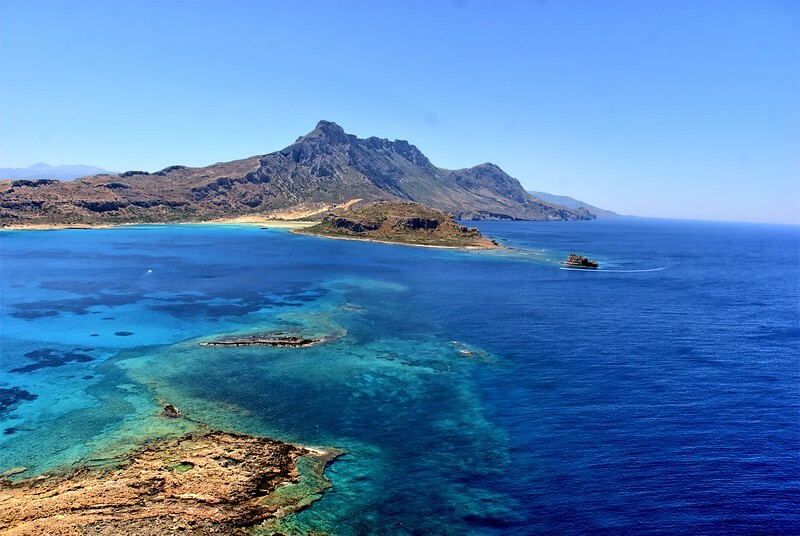 But if you are looking for a basis, I recommend to stay half of your trip in the Venetian town of Chania to explore the West side with the magnificent Balos Lagoon, the impressive Samaria Gorge and the pink sand beach at Elafonisi. As for the second part, you could stay around Heraklion or Agios Nikolaos to visit the old leper colony of Spinalonga, the hippie Matala beach and the famous Knossos palace (home of the Minotaur). So many things to see and do and Crete! Thanks to Claire from ZigZag On Earth for contributing the island of Crete to this collaboration. 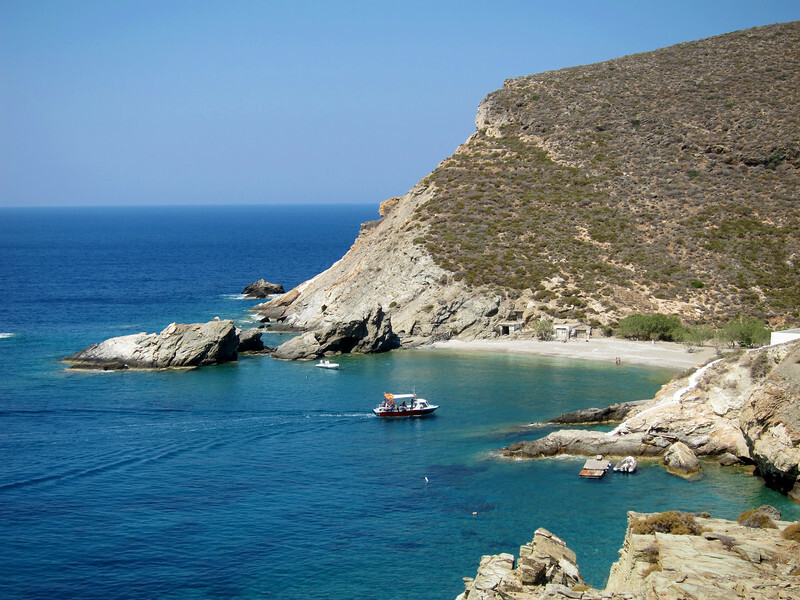 Located a ferry ride away from Santorini, Folegandros is the wild child of the white-washed Cyclades. The island has a population of just 650 people and just two settlements. Mainly a fishing and agricultural island, parts of it still don’t even have electricity. But what Folegandros lacks in modern development, it more than makes up for with natural beauty. It’s one of the best Greek islands to visit for stunning beaches and to simply get away from it all. There’s not a ton of things to do on Folegandros. Relaxation and fun in the sun is the name of the game when you visit this Greek isle. Rent a buggy and go off exploring the beaches that you often find yourself the only one on. Hike up the snaking path to the little church that caps the island’s highest point and watch the sunset. Or simply enjoy the authentic foodie specialties of this little island paradise, like fresh fish caught that morning and goat matsata. 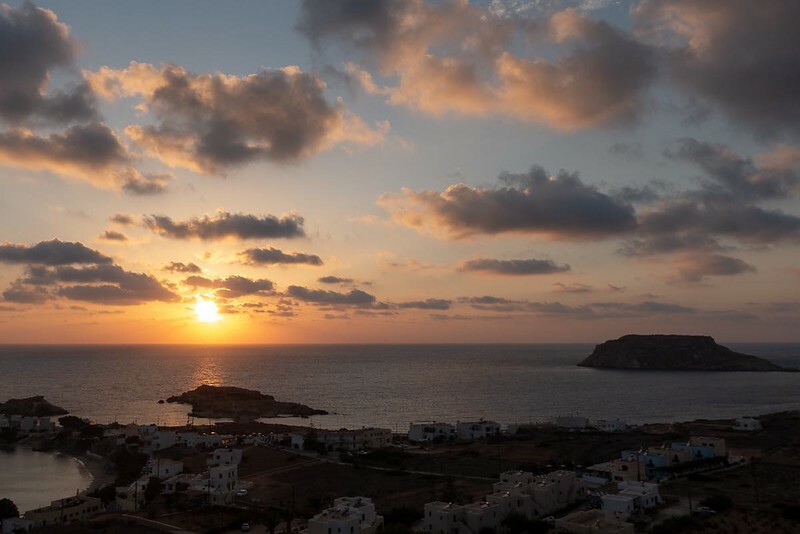 No matter how you spend your time on Folegandros, you’ll experience an entirely different side of Greece than is seen on more touristic islands like Santoini and Mykonos. Just don’t forget to bring plenty of cash with you. Folegandros only has a lone ATM and credit cards aren’t widely accepted. Thanks to Jennifer Dombrowksi and Tim Davis from Luxe Adventure Traveler for contributing Folegandros to this collaboration. If you’re looking for a Greek island that’s quiet and peaceful, consider Hydra. While this island is one of the closest Greek islands to Athens as it’s just two hours away by ferry, it has a drastically different feel in terms of pace of life. With a population of only 2,000 people, the island is completely car and motorbike free, with pedestrian-only streets up and down this hilly but beautiful island. 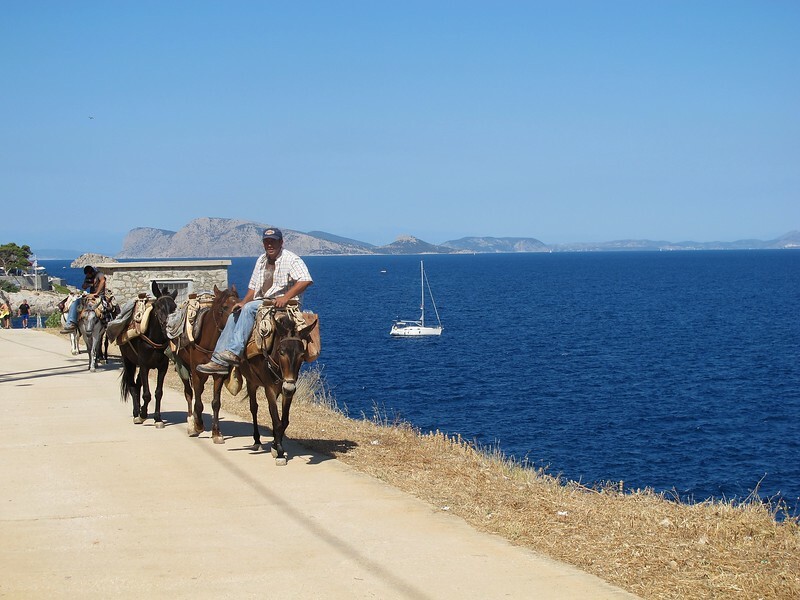 As a result, Hydra is known for its many horses and donkeys who line the harbor edge, since they are truly the only way to get around the island short of walking yourself! Some of the best things to do in Hydra include strolling the harbor, going on a historical walking tour, people watching in the squares, and visiting the beautiful Kimisis Tis Theotokou Cathedral. Besides that, there are a handful of interesting museums, including the Ecclesiastical Museum associated with the island’s monastery and the Kountouriotis house museum. And of course, in Greece, it’s hard to eat a bad meal, best enjoyed on the waterfront watching the beautiful sea. Thanks to Allison Green from Sofia Adventures for contributing Hydra to this collaboration. Karpathos Island sits at the far southeastern corner of the Greek Islands, between Crete and Rhodes. It’s distinguished by rocky mountainous landscapes, serene beaches, and calm tourism. With a year-round population of 7000, the island is still uncrowded. The big cruise ships don’t stop here, but Karpathos is well connected by ferries, smaller ships, and a nice airport. Visitors will want to carve out a day trip to the village of Olympos in the north, where the old culture of this historic agricultural area shines through. Artisan goods like boots, textiles, and musical instruments make this a great shopping stop, too. From Olympos, hiking trails spider across the mountains in all directions. The island’s 150 miles of marked trails offer access to protected areas, flora and fauna, including some 200 species of birds. Sampling some of Karpathos’ 75 beach coves is a favorite pastime. Boat tours from the capital city of Pigadia deliver bathers and sun-lovers in style, with lunches on board or ashore. Some of the coves are deserted, others are wrapped by small villages topped with bright blue and white churches. Everywhere on the island, family businesses and wonderful food draw visitors closer and encourage many to return. Thanks to Kristin Henning from Travel Past 50 for contributing Karpathos to this collaboration. Greece is a country of majestic landscapes,and few are as evocative as Meteora. Located in the Thessaly region of central Greece, this UNESCO World Heritage site complex boasts unique rock formations, centuries old monasteries, and views that defy belief. As early as the 11th century, hermits began setting up home in the uniquely eroded pinnacles of Meteora. In the 14th century, a series of monasteries were constructed, some of which are still in use to this day. Meteora has long been an important center for the Greek Orthodox religion, and is credited as playing a significant role in the continuation of Greek culture and religion during the Ottoman period of occupation. Today, it is one of the most visited parts of Greece, but still retains its mystery and charm. Whilst it is possible to visit Meteora on a day trip from Athens, it’s far better to spend at least one night there. This way, you are able to witness either the sunset or sunrise (or both! ), and capture those perfect Instagram pictures as the light changes throughout the day. 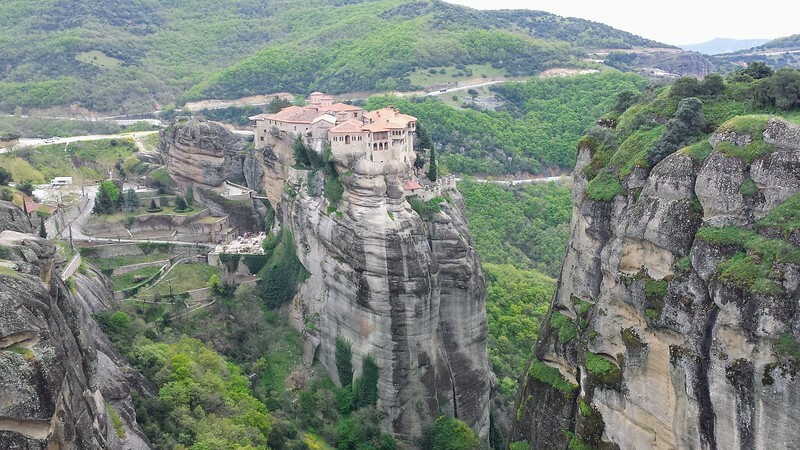 To find out more about visiting Meteora, check out Dave’s guide to the Meteora Monasteries in Greece. Mykonos was the first Greek island I visited when I was just 18 years old, and 18 years later it remains one of my favourite places to visit in Greece. The island is very lively, known for being a great party destination – this is why I was drawn to it during my crazy partying days! Talking about the beaches in Mykonos, Paradise and Super Paradise beaches are definitely the places to go if you are looking for a party vibe, but even if you just want to relax or be immersed in wonderful nature, Mykonos has a lot to offer. Two of my favourite quiet beaches are Agrari and Fokos beach. There’s no public transport to either of them so it’s necessary to either drive or walk, but you’ll be rewarded with secluded atmospheres and clear water. Besides the beaches, it’s dun to walk around Mykonos Town taking pictures of the whitewashed buildings and famous windmills, and the island is in an ideal position to go on day trips to nearby islands like Delos, a UNESCO site! Thanks to Margherita Ragg from The Crowded Planet for contributing Mykonos to this collaboration. 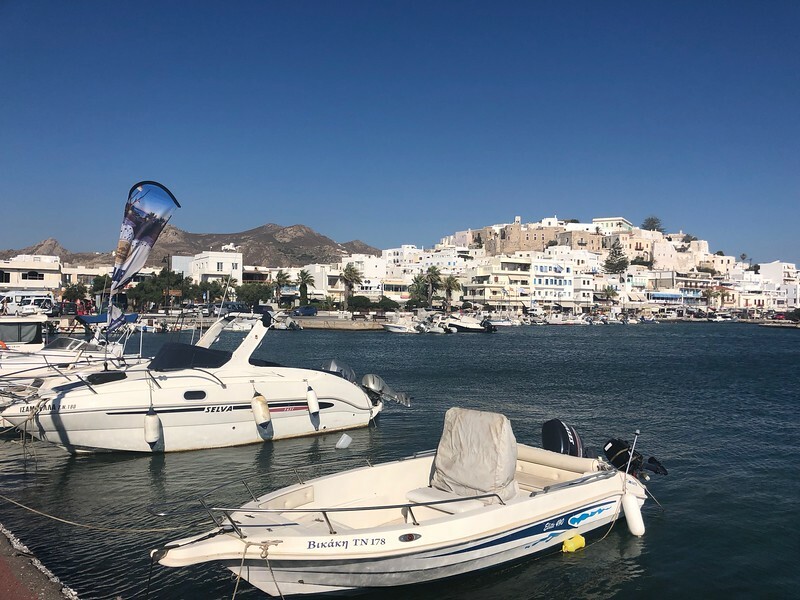 Naxos is the largest island in the Cyclades chain of Greek Islands and its laid back atmosphere and its non-existent cruise ship crowds make it appealing for visitors. It is also in an ideal position between the popular islands of Mykonos and Santorini. 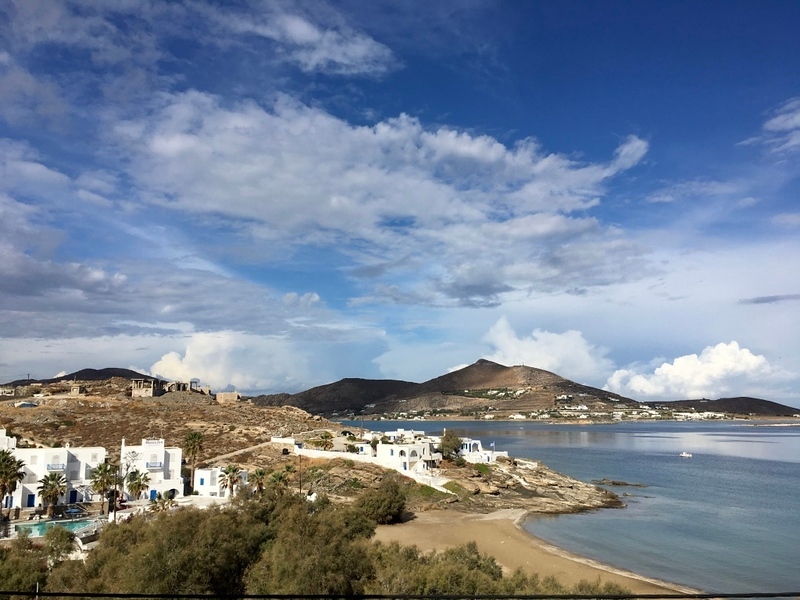 Although laid back, there are plenty of things to do in Naxos from hiking to water sports to exploring ancient archaeological sites and small towns. Right next to the Naxos port is the Temple of Apollo, Naxos’ most recognizable landmark. Just a few minutes walk from the harbor, it makes a great sunset spot and frames the island beautifully. 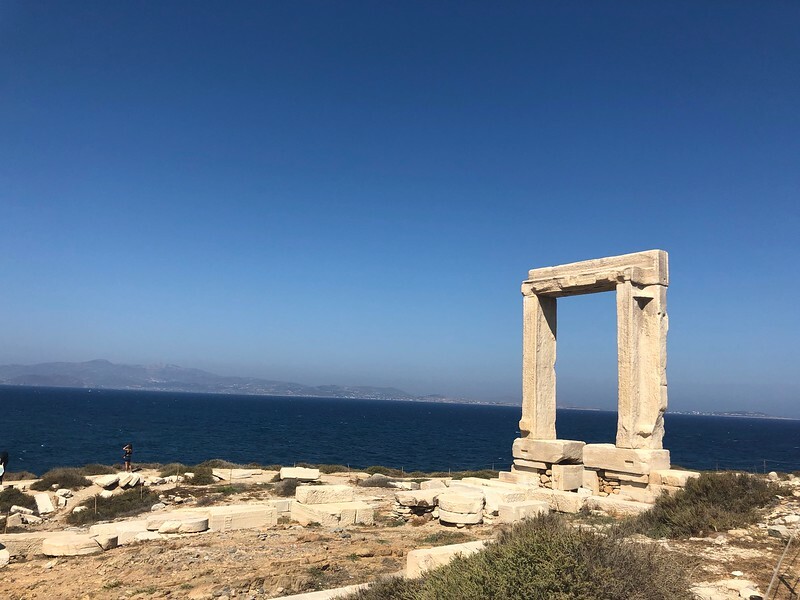 Naxos Town has plenty to explore, from tight passageways of whitewashed buildings, vibrant nightlife, boutique and, souvenir shopping and great restaurants. Naxos is known for its beautiful beaches, and their shallow drop-offs make it a popular island choice for families. 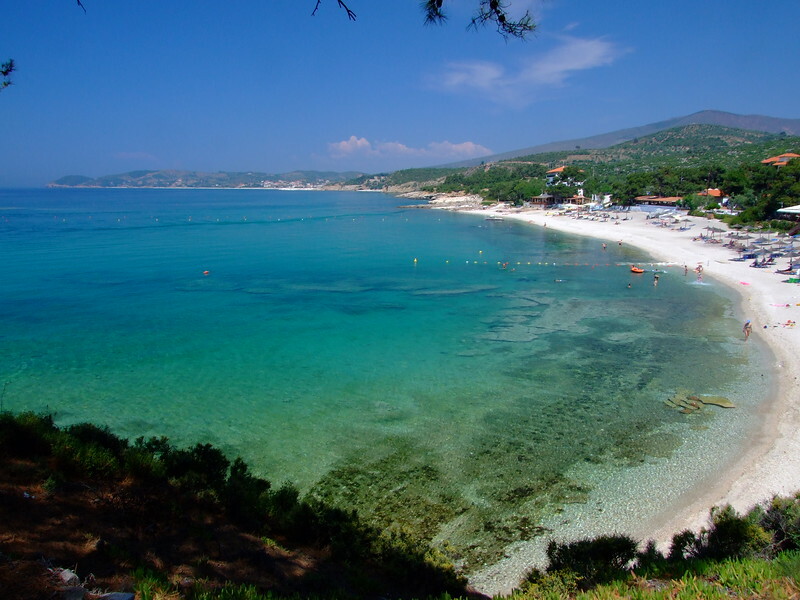 While there, do not miss Agios Prokopios, known to many as the best beach on the Island. If watersports are your thing, windsurfing and kitesurfing are popular on many beaches. 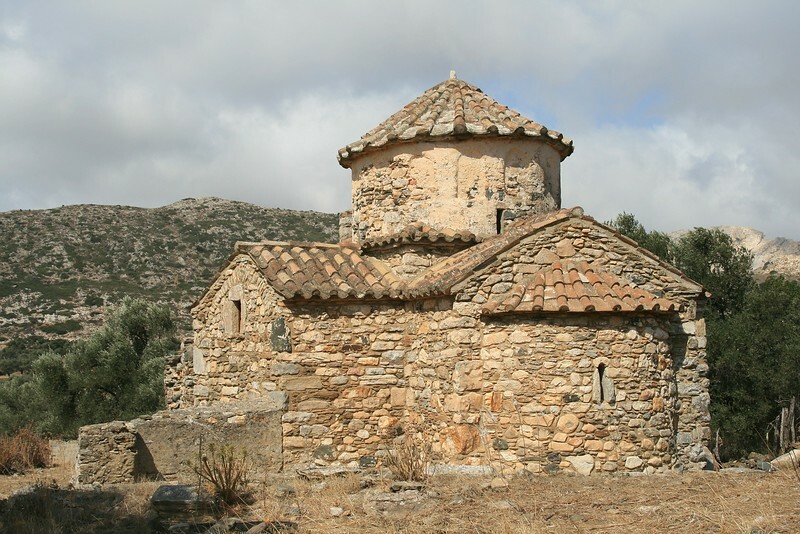 If hiking is one of your interests, hike to Kalamitsia, where you will find a Monastery and small settlements. Whatever you enjoy, the island is large enough to keep you busy for 4-5 days, although you can see and enjoy a lot in just a day or two. Thanks to Lindsay Nieminen from Carpe Diem Our Way for contributing Naxos to this collaboration. 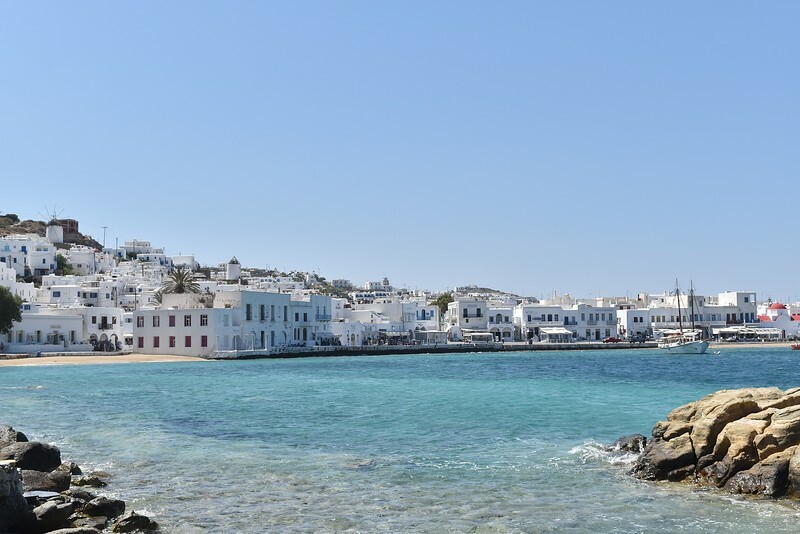 No trip to the Greek Islands is complete without a stop in Paros, as genuine and breathtaking as the Mediterranean comes. With plentiful beaches that overlook the Aegean Sea, Cypress groves and ancient ruins, this is an authentic Greek experience you won’t find anywhere else. It’s underrated enough that you won’t find hordes of tourists, yet it’s warm and welcoming. The traditional seaside villages, with their whitewashed walls and blue domes are just the start of what you’ll want to explore while you’re here. Once a medieval trail that served island-dwellers in the Byzantine times, the Byzantine Trail is now open for strolling and takes a little over an hour to get from one end to another. It begins in Lefkes, a mountain village in Paros and ends at the settlement of Prodromos, a settlement dating back to the Byzantine times. The trail takes you through valleys of Olive and Cypress trees, stone-paved streets and remnants of historical structures. With the warm Mediterranean sun on your shoulders, it’s easy to stroll the Byzantine Trail and think you’ve gone back in time. Housed in a traditional whitewashed complex in Parikia, the Byzantine Museum holds plentiful rare icons dating back to the 17th and 18th century, with a focus on traditional and simple art. 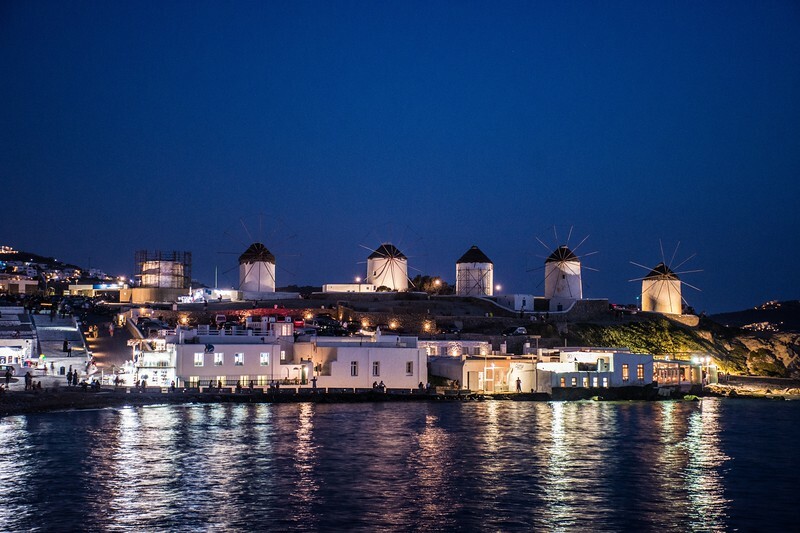 These icons tell the story of history in the Cyclades Islands, making it a must if you’re there. Possibly one of the most historical buildings on the Island of Paros, the Frankish Castle is an awe-inspiring structure indeed. Built in the 1200’s, it features intricate stonework and classic architecture. In the surrounding area, you’ll also find temple ruins and historical remnants of village residences. 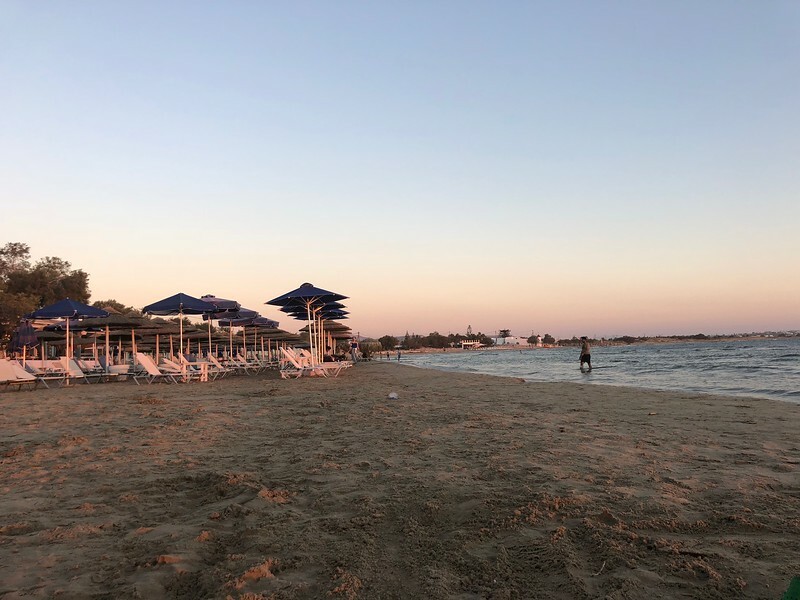 If you’re looking for an authentic Greek island experience with a touch of Medieval history and a slightly off-the-beaten-path feel, you can’t beat Paros! Thanks to Roslie from Coastlines to Skylines for contributing Paros to this collaboration. Santorini’s irony is that many of the reasons people love it stem from a volcano that exploded and nearly wiped the place off the map in 1646 BC. What Mother Nature did to this island less than 4,000 years ago turned Santorini into a place where hiking, ancient ruins, and even scuba diving are all great activities. But what Santorini is probably most famous for is its sunsets. They are so beautiful, in fact, that people break into applause. 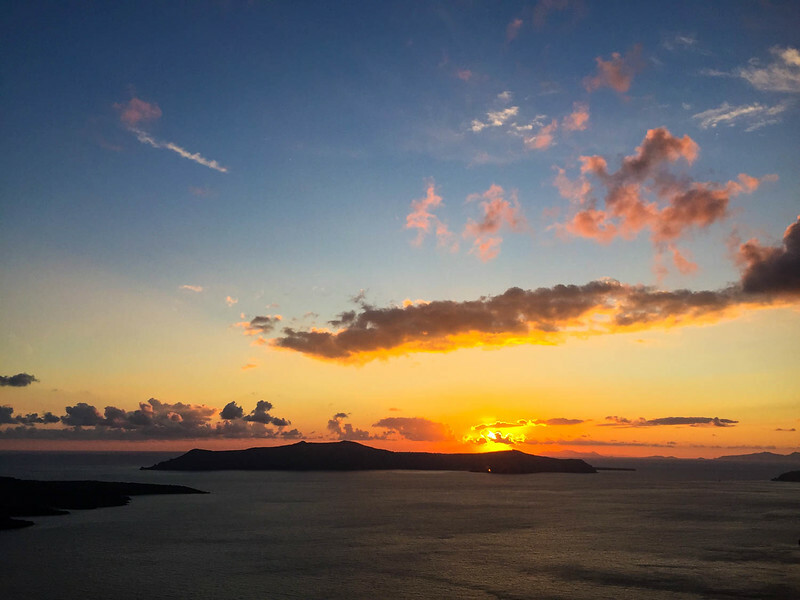 A few hours before that happens, we suggest taking the caldera hike from Fira to Oia. 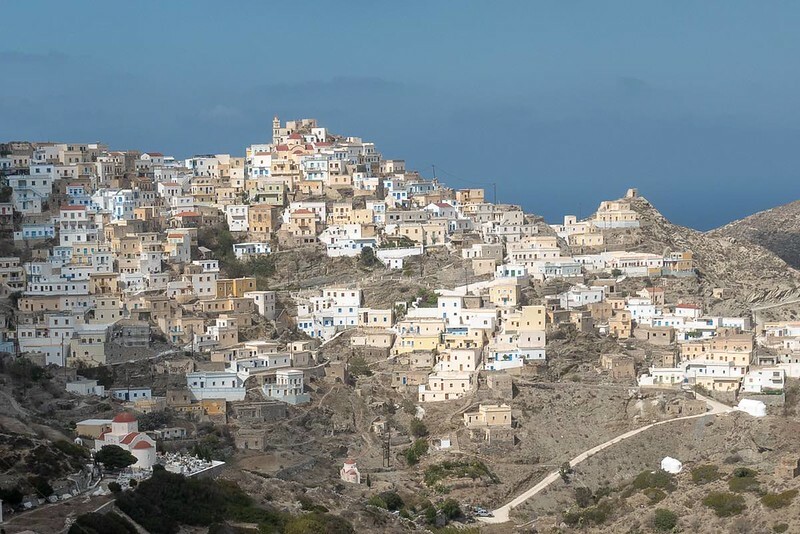 This hike takes 3-5 hours and goes through Fira, Firostefani, Imerovigli and Oia. Every photo you take here will be Instagram-worthy. The terrain ranges from paved trail to cobblestone and dirt, so wear a good pair of hiking shoes and you’ll be fine. When you get to Oia, find a spot along the hilltop to capture the epic Santorini sunset. Santorini is also known for shopping, wineries, food, and much more. 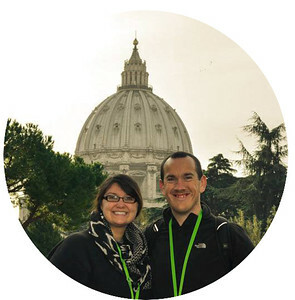 It’s an excellent honeymoon destination or just a great spot for a couple to spend a week together. Thanks to Michael and Halef from The Round The World Guys for contributing Santorini to this collaboration. Sifnos is the Greek island I dream about on a cold, grey day in the UK. 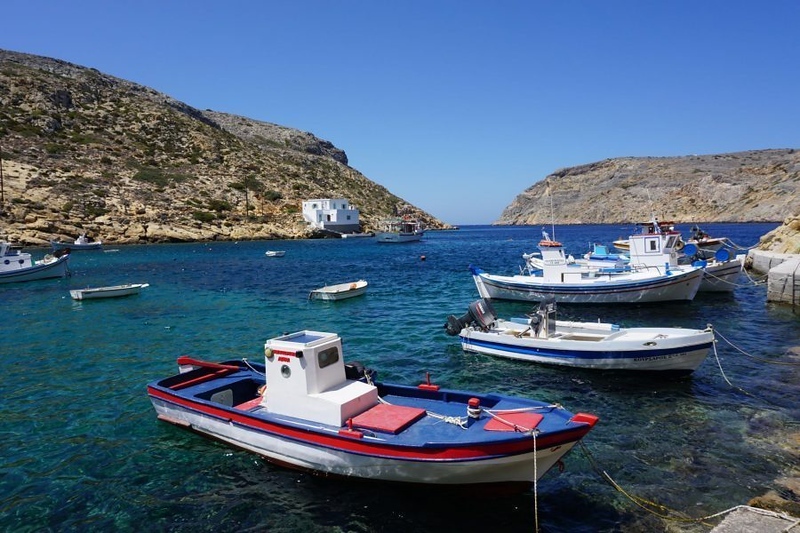 It has pretty villages, a dramatic landscape and picturesque fishing harbors to rival any of the other islands but also has fantastic beaches (not always a given in Greece), chic hotels and some of the best food in the Cyclades. 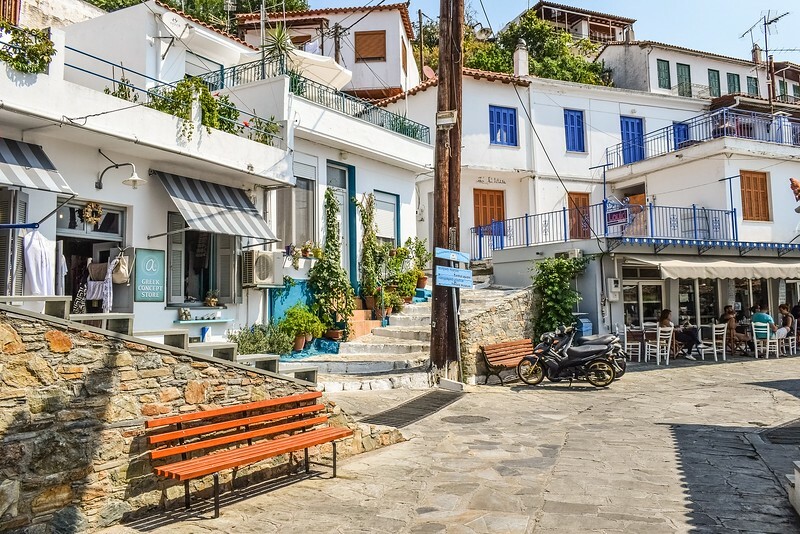 There’s plenty to do here, from driving to the fishing village of Cheronissos for a dip in the sea and fresh seafood at the Amoudi tavern, to exploring the pretty village of Artemonas and following your nose to the orange and almond-scented biscuits in its renowned bakery. 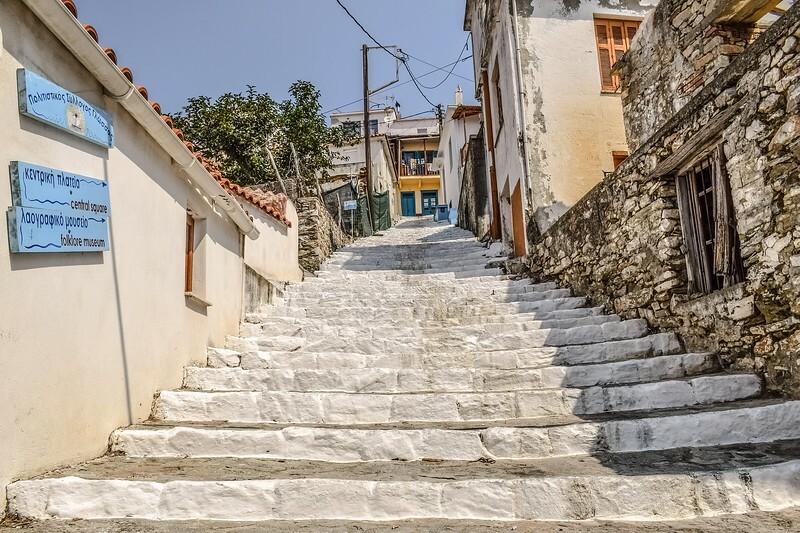 Be sure to explore the labyrinthine streets of Kastro, the island’s oldest village, built over 3,000 years ago on a rock overlooking the sea. 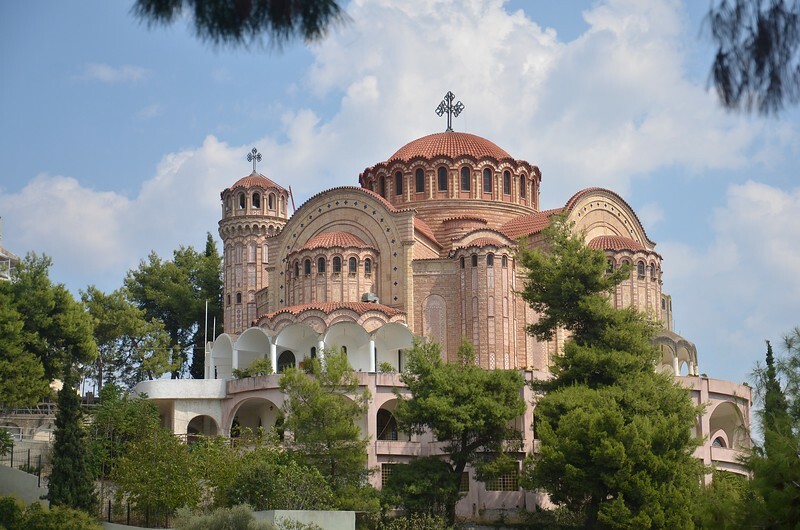 From here you can walk across to the Church of the Seven Martyrs, one of the most beautiful settings of any church in Greece. And you’ll want to spend a lot of time on those glorious beaches, from the large sweep of sand at Vathi and Platis Gialos to little bays like Poulati that you can hike to. Take a boat trip around the island to get to some of the more remote beaches. Thanks to Clare Thomson from Suitcases and Sandcastles for contributing Sifnos to this collaboration. Skopelos is the smaller brother of the more touristy Greek island Skiathos. There is no airport on the island, so the easiest way is to get there is to take the ferry from Skiathos. Skopelos has been named the “Greek Tuscany” by travelers for years, and not without reason. The green island is covered by olive fields, and known for its tasty olive oil. However, what really put this anonymous island on the map was the filming of the famous musical “Mamma Mia” that was released in 2008. Since then, tourists have come to the island to do Mamma Mia Tours and see all the spots where the musical was filmed. To experience the island in your own pace you can rent a scooter, quad or a car. There are countless beaches to explore and hidden local restaurants with stunning sea views all around the island. Further, Skopelos is great for hiking, as it has endless of walking trails. You can get a guide or find your way around the well marked hiking trails on your own. In the late evening, Skopelos town comes to life, and there are plenty of bars and restaurants to choose from. Thanks to Linn Haglund from Brainy Backpackers for contributing Skopelos to this collaboration. Symi, the Greek Island closest to Turkey geographically, is also one of the most beautiful in Greece. The island is dotted with neo-classical pastel facades like you would see in Cinque Terre or Positano; yet, in comparison, Symi is relatively untouched. Many travelers take a day trip to Symi from Rhodes as it is only a short ferry ride with multiple boats departing every day during peak season. 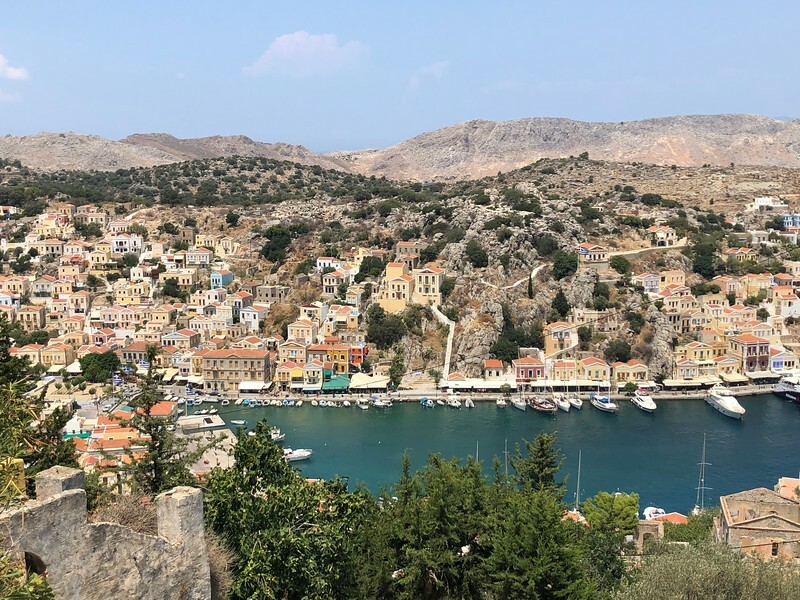 One of the best things to do in Symi is to hike to the Old Town, a village called Chorio, via the Kali Strata which are a series of about 500 steps; you will be rewarded with sweeping, panoramic views. 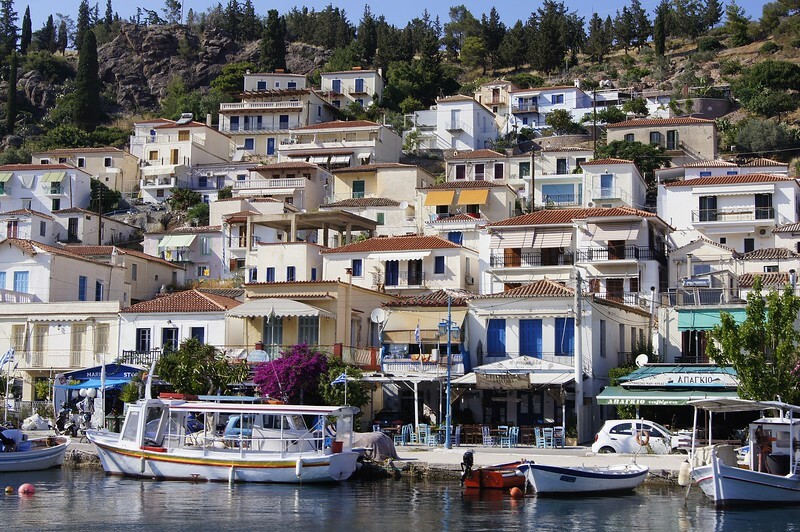 Symi used to be a commercial sponge fishing and ship-building center; however, the main industry today is tourism. You can pay homage to Symi’s past industry by shopping for a natural sea sponge at one of the many souvenir shops along the harbor. There are many popular beaches in Symi, so if you do fall so in love with the island that you decide to stay awhile, you will have plenty of beach options to choose from! Thanks to Jennifer from World On A Whim for contributing Symi to this collaboration. 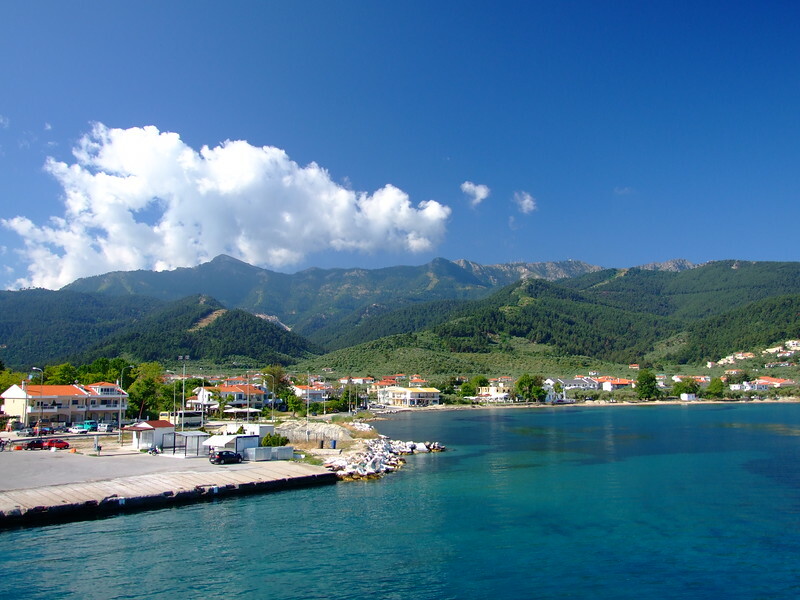 Thassos, the northern-most Greek island, doesn’t have its own airport. Nonetheless, it is very easy to reach by ferry from either Keramoti or Kavala. 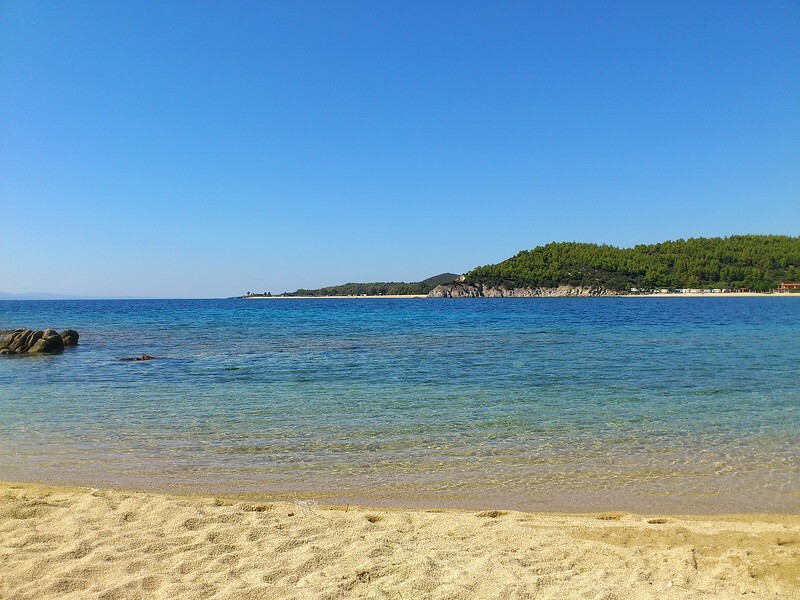 The crystal clear waters make Thassos the ideal place for scuba diving and snorkeling. There are many scuba diving schools in Limenas, the capital city, as well as in Skala Prinos, Potos and Pefkari. The island has lots of sandy beaches, but also hills and valleys, offering excellent opportunities for mountain biking, hiking and even off-road driving adventures. Unlike other Greek islands, Thassos is home to many species of trees, herbs, shrubs and flowers which attract colorful birds and insects. Bird watchers and photographers won’t get bored here. 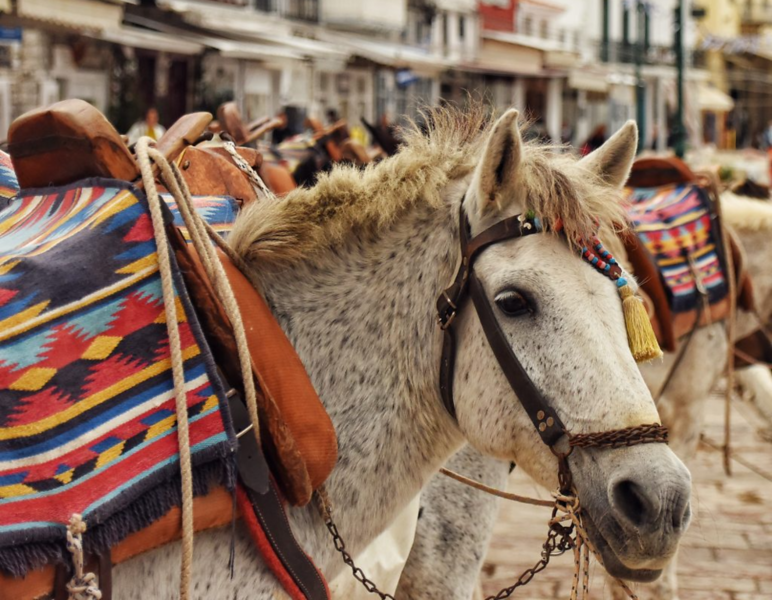 Last but not least, Thassos is famous for its horseback riding schools that attract people of all ages. Romantic and adventurous travelers can enjoy horse and pony trekking along the hills and beaches of this island. History and culture are also present all over the place. The sun dried octopus, which appears to be one of the traditional dishes here, is one of the things to try at least once in a lifetime. Many restaurants have it on the menu, and some of them will serve it to you directly on the beach. Thanks to Violeta Matei from Offbeat Greece for contributing Thassos to this collaboration. Thessaloniki is Greece’s second largest city, based in the North of the country. It is also considered as the country’s cultural capital, famous for its festivals and events taking place throughout the year like the Film Festival, Documentary Festival, Photography Festival Book Fiar and even a Hip Hop Festival. The city is characterized by the 34m high “Lefkos Pyrgos” (“white building/tower”), which used to form part of the defensive walls. The beachfront promenade runs from the White Tower and is one of the most popular meeting spots, with an array of excellent cafes and bars to hang out. 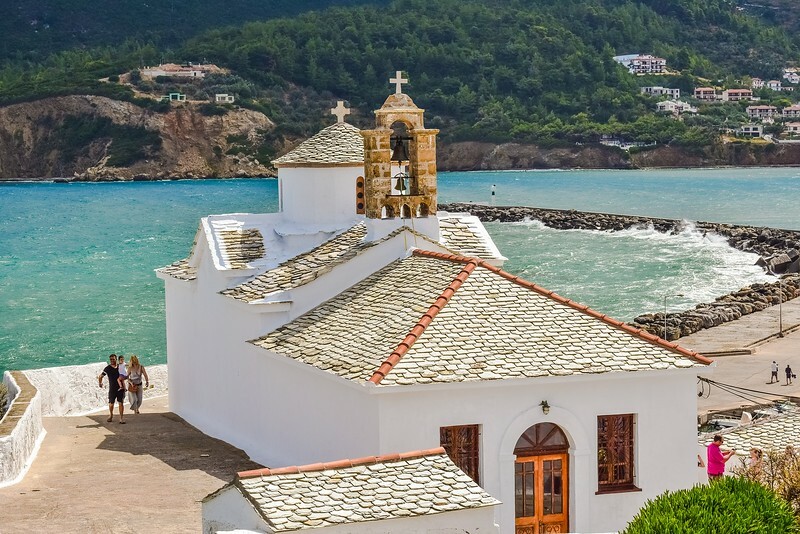 Further inland are a plethora of cute cobblestone roads lined with orange trees, many boutique shops, beautiful churches and highly rated traditional Greek tavernas like “Kanoula”, “Tripia Potiria” and “Prytanio”. It is also home to numerous notable Byzantine monuments like the “Paleochristian”. One of the most fascinating museums we visited in Thessaloniki is the historic home of Atatürk (founder of modern Turkey), which is definitely worth a visit. Thessaloniki is also an excellent base for summertime beach visits to nearby Halkidiki. It is also a port, so ideal for visiting nearby islands like Kavala, Skiathos, Skopelos, Alonissos and, Skyros. Thanks to Stefan and Sebastien from Nomadic Boys for contributing Thessaloniki to this collaboration. 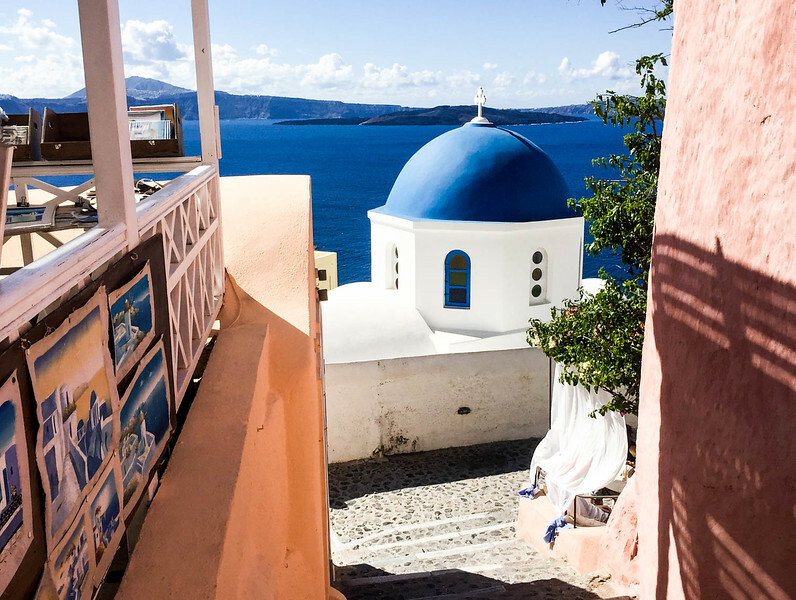 Are you sold yet that Greece is a destination that you need to be experiencing soon? I know we are! 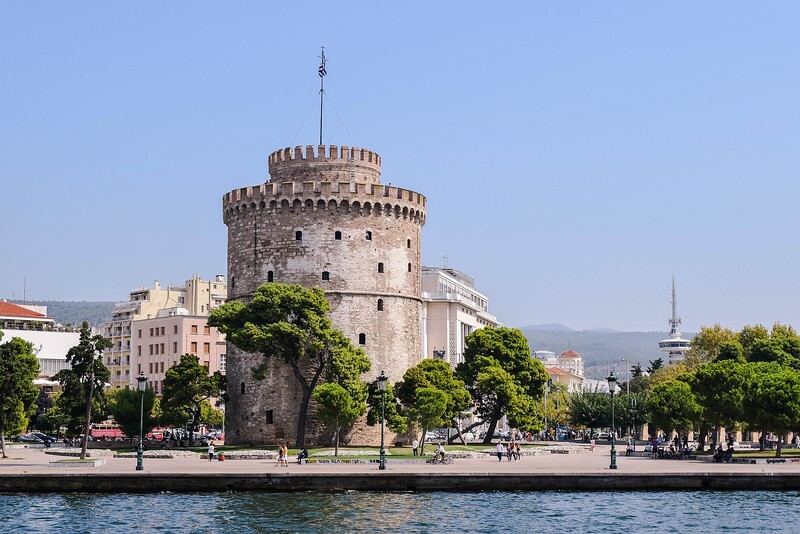 With so many amazing Greek islands and awesome towns such as Thessaloniki to explore, Greece is a country that you cannot help but fall in love with. As you have seen from this diverse collection of destinations, there are a myriad of different things to do in Greece. We would like to take a moment to thank each and every contributor to this post. 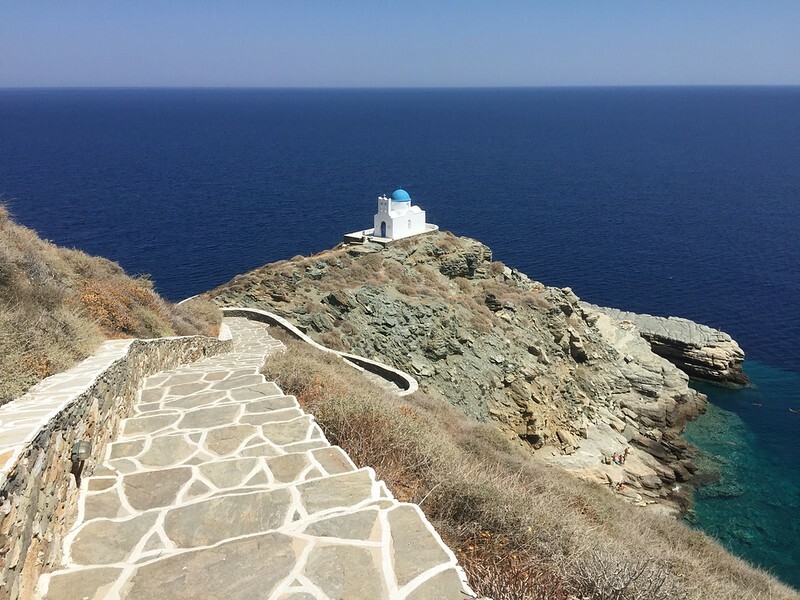 Hopefully you have found as much Greek wanderlust from this post as we have! Have you visited Greece? If so, where was your favorite destination and why? Wow — 6,000 islands! I had no idea! My first priority would be Athens due to the ruins and history. After that — so many choices! My daughter actually didn’t have a great time in Santorini but she did love the boat ride from there. I think it may partly depend on where you stay on any of the islands. What a fun time you had — great post! Thanks for all the eye candy of the Greek Islands. It’s been number one on my travel wish list but still haven’t made plans to visit. Hopefully soon! Such an amazing article, I visited your blog the first time and now I bookmarked it because your many articles are very informative for me to even for us.